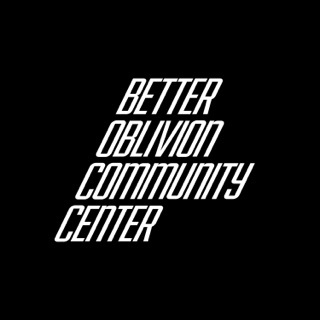 For a project so shrouded in mystery in the run-up to its release, the origin story behind Better Oblivion Community Center isn't particularly enigmatic at all: Phoebe Bridgers and Conor Oberst started writing some songs together in Los Angeles, unclear what their final destination would be until they had enough good ones that a proper album seemed inevitable. Plus, the anonymity and secrecy allowed them to subvert any expectations that might come from news of high-profile singer-songwriter types teaming up. “We just realized that the songs were their own style and they didn't sound like either of us,” Bridgers tells Apple Music. “I don't think that they would have felt comfortable on one of my records or one of Conor's records. And even the band name—Conor came up with it and we didn't think about it as a real thing, and then people were like, 'Whoa, clearly it's this elaborate concept,' and we're like, 'Really? Cool. 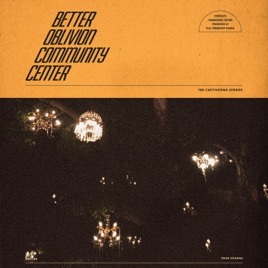 '” Let Bridgers and Oberst guide you through each track of their no-longer-enigmatic debut. Oberst: “She's like, 'I wanna email them and ask them if we can use it.' And I was like, 'Damn, Phoebe, you're extremely ethical. I really appreciate your ethics.'"